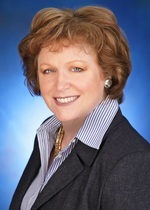 Dr. Janet L. Walsh is the CEO and president of Birchtree Global, LLC. Birchtree globalizes strategy, businesses, and people. She has established business operations in 81 countries, directing teams of lawyers, CPAs, and HR leaders in market entry activities. Her work is notable in delivering significant increases in financial productivity through top line growth and bottom line savings. Her award-winning research on global market entry and foreign direct investment in Cuba is published in multiple journals. Her board service has included Devry University, and The World Trade Center Association, She has been elected a member of the Explorers Club for her archaeological discovery and excavation of a mid-Archaic period settlement on Pumpkinvine creek in Georgia. She is the Board Secretary for the Explorers Club. Janet is a champion equestrian in cross-country, and pleasure division competitions. She is an accomplished painter and her paintings are exhibited in the Booth Museum of Western Art in the United States. Janet holds a BA degree in Economics from Bucknell University, an MBA from Loyola University and a Doctorate in Business from the University of Phoenix. She speaks Spanish, French, and Japanese.